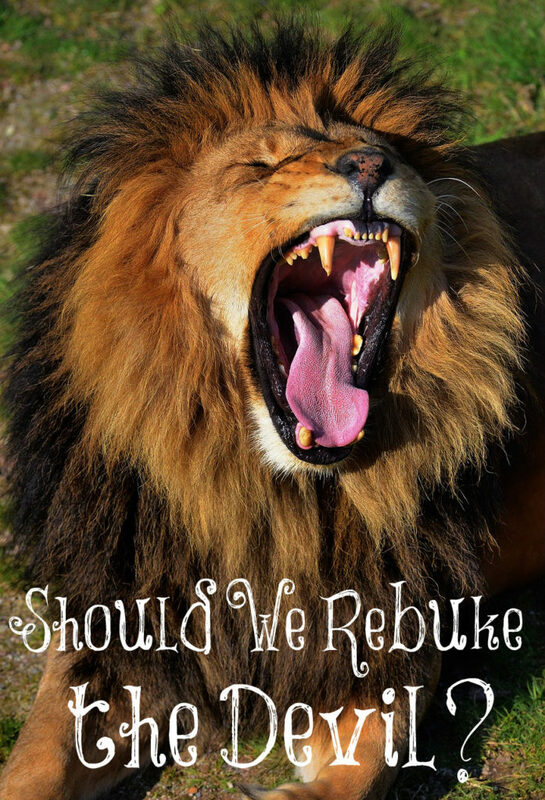 Should We Rebuke the Devil? In the movie The War Room, Priscilla Shrier plays a wife who at one point “rebukes the devil” by screaming at him and telling him that he is to leave their home and stop destroying their family. This seems to be a common practice today among women especially. They falsely believe that it is their job to speak to the Devil and tell him to flee. Is this biblical? For one thing, demons don’t live in homes or inanimate objects. They live in fleshly things like people and animals. There’s not one instance where a demon lives in a home in the Bible. There’s no such thing as haunted houses, unless they have been created by people to appear that way. Therefore, we don’t need to rebuke the demons! If you are a believer in Jesus Christ, you are an overcomer and He has defeated the Devil. James 4:7 states, Submit yourselves therefore to God. Resist the devil, and he will flee from you. What does resist mean? Does it mean yelling at Satan? No, it means to “literally, to stand against.” So how do we stand against the Devil? Was he not already defeated at the cross? I remember Michael Pearl saying years ago that the only reason God allows Satan to roam the earth is to refine His saints. The way that we resist the devil is to put on the full armor of the Lord explained in Ephesians 6:10-18. We spend daily time in His Word and hide it deeply in our hearts so that we won’t sin against God. We pray to the Lord and ask that He be a hedge of protection around us from the Devil’s wiles. We walk in obedience to His commands. We seek daily to become more like Christ by disciplining ourselves for the purpose of godliness. In 1 Peter 5:8, 9, we are told how to stand fast against Satan and his attacks. Be sober: calm, not controlled by passions or alcohol, serious, habitually temperate (moderate), and calm. Be vigilant: watchful, circumspect, attentive to avoid danger. Whom resist STEADFAST IN THE FAITH. Our faith is made strong through our trials and tribulations because we depend upon the Lord’s strength to carry us safely through. This is, also, how we resist the Devil. We know his ending and its horrific. We are risen with Christ and are His children. Speak and pray to the Lord instead. We can rest in Him knowing that He is fighting our battles and He is always victorious. Instead of rebuking the Devil and tell him to stop destroying your family, begin practicing having a meek and quiet spirit, live in joyful submission to your husband, be cheerful and kind, and obey the Lord in how He instructs you to live! He has laid out exactly how you are to live as a wife and He has given you everything you need for life and godliness. Satan was conquered at the cross and greater is He who is in you than he who is in the world. 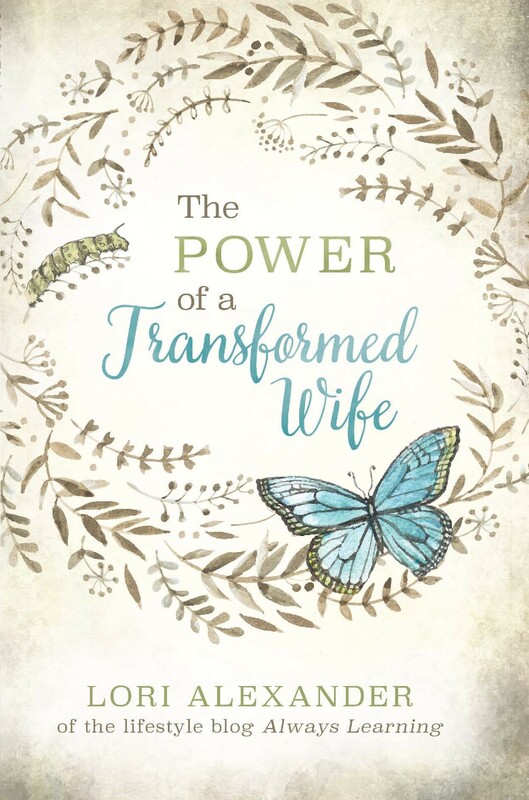 As you live with your husband as a godly wife, you are sanctifying him and he is being influenced by Jesus who lives inside of you. There’s zero need to yell at or rebuke the Devil. Sing praises to the Lord instead! Be sober, be vigilant; because your adversary the devil, as a roaring lion, walketh about, seeking whom he may devour; Whom resist stedfast in the faith. I tell my children not to even talk about Satan outside of the context of scripture. He is not one we know a whole lot about nor should he be. We need to be preoccupied with God and His ways and Word, not with other things outside our realm. Amen, M! I have no desire to speak to or about the Devil except to warn others about him. I would much rather spend my time renewing my mind with God’s truth. Thank you, Lori and M. I echo your comment, M . That’s the exact portion of scripture I was about to quote as well.🙂 My communication with my Heavenly Father is in the name of His Son. I don’t dialogue with the devil. The Lord is faithful to strengthen and protect us from the evil one! I saw the movie War Room and I really liked it and we own the DVD. I even have my own “war room” of sorts. I did have some issues with the wife yelling at Satan. I wasn’t sure if it was scriptural. I know when Jesus was tempted in the desert by Satan He used scripture back at him. So should we do the same when the devil does the same or starts reminding of us of our past? No, Regina. Be transformed by renewing your mind with truth and take every thought captive to the obedience of Christ as the Bible tells us to do. Hide His Word in your heart so that you won’t sin against Him! I admit to being enthralled with this movie the first time I saw it. I watched it at my Pentecostal friend’s home. Imagine having the power to tell satan to leave! We both had goose bumps. For the next couple of weeks, I practiced this in my own home, and even felt I was gaining victory in my spiritual life. I deceived myself into believing that I had power within myself to (for example) not allow certain people in my life who hurt me in the past to hurt me anymore. I didn’t realize I was becoming prideful and relying on my own strength rather than God’s strength. I shared the high lights of the movie with my husband, and he saw thru the deception right away. “We don’t have the power to tell satan what to do. It’s not a good thing to have a conversation with him in any form,” he told me. I saw the movie for a second time in the venue of a ladies’ Bible study along with the study book. I watched it much more detached this time without my emotions being affected. There’s truth in the movie about taking everything to the Lord in prayer. He is the only one who can bring about change in a person’s life. But the dangerous part of the movie is the lie in believing that we can tell the evil one what to do. I agree that we as women are more easily deceived. The ladies’ Bible study also went over The Patriarchs by Beth Moore. Again, there’s deception woven in with truth. She does alot of imagining what people in the OT were feeling and then basing her teaching on those feelings which is not biblical. I asked my teacher about a discrepancy I had seen that didn’t line up with Scripture, and she got a little hostile with me about it in the study. Her answer was not to point out what we didn’t agree with, but to avoid my comments/questions by skipping controversial sections altogether that she knew we didn’t believe. I share all this because the Holy Spirit has been working in my and my husband’s hearts over the last five years or so. We learned that we need to test everything we hear or read against what the Scriptures say. It’s been enlightening to see what we previously thought to be true doesn’t actually align itself with the Bible! I have stopped attending the study because, again Scripturally, we are seeing where these Bible studies with women leading are led by emotion and not by the Word of God. They have become more about therapy sessions and less about God’s Word. More importantly, some ladies are replacing the reading of the Word with time spent in the study books. They are taking what’s taught in the study as gospel rather than the true Gospel of the Bible. I agree with everything you wrote, R. We must measure everything we learn with the Word of God. Some women disagreed with me on Facebook over this post and told me we should rebuke the Devil but could not give me one verse that commands that we do this. Just because we have heard that something is true over and over again does not make it true. Can I ask you please Lori, do you believe in ghosts? Reading this post, it seems like you don’t, but I wanted to check. I’ve had a number of unexplainable experiences I’ve put down to the supernatural, and have asked many different people of differing beliefs (Christians and non-Christians) to try to explain it. Some believe in ghosts, some don’t. But I can’t find anything in the Bible about it. I believe in the Holy Ghost. Any other ghost i believe are demons. Its as simple as that. Ive had some experience as well(dreams as well as seeing some at night) im not sure why but i believe its a tool satan uses to frieghten us. But we must remember God is our refuge and strength, our very present help in trouble. The scary thing is, all these christians that think we should have an open dialogue with satan. Total deception, i wouldnt give him the time of day. The more you engage him by having any sort of dialogue with him, the more inroads he gets. So how would you respond to Mark 16:17 that says one of the signs that follow those who believe is that they will cast out devils? Jesus was specifically speaking to His disciples. The Apostles all were given this power to begin the Church age.